Looking for a Communion favor that is practical? 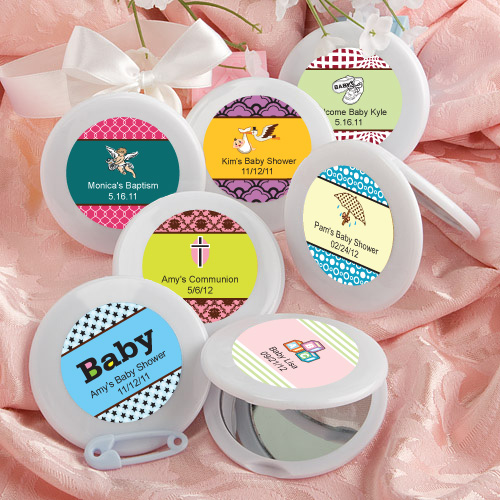 These personalized mirror compacts may be just the item for your guests. They measure 2 ½” round and have a double sided glass mirror interior with a sturdy white poly resin outer compact case, hinged for opening/closing. Also included are sheets of personalized labels of your choice, so that you can personalize the favor. Sold bulk packaged in a plastic bag these compact mirror favors deserve a good long look!